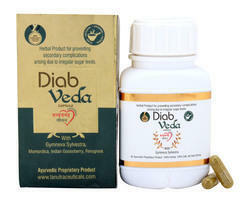 We offer Diab Veda Capsules. We are one of the leading manufacturer and supplier of Herbal Capsules products in India. Diab Veda has banaba leaf extract and Gymnema Sylvestre which are highly effective in controlling diabetes. It increases the uptake of glucose from the blood into the body cells and hence is also referred to as plant insulin. 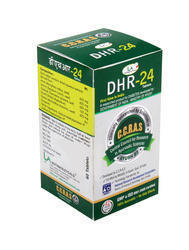 This makes Diab Veda a very effective and unique supplement to provide health benefits to diabetics. Banaba Leaf Extract, Gymnema, Jamun, karela, Amla, Methi Dana. We are looking for Franchisees and Distributors all over India for our Entire range of Products.We are seeking Franchisees in Rajasthan, Madhya Pradesh, Maharashtra, Karnataka, Kerela, Telangana, Goa, Bihar, West Bengal, Kolkata. We are the manufacturer of Ayush 82 Anti-Diabetic Medicine. It is manufactured using top quality materials and latest technology and tested under various quality parameters. Our firm is involved in manufacturing and supplying a huge range of Diab Veda Capsules (Pack of 60 Capsules). Diabetes is a condition that can cause harm to the body. This capsule contains the goodness of several herbs that can control the condition. 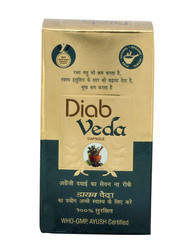 Our Diab Veda is well known in the market for its positive Effects. Diabetes Veda Capsule’s superior constitution helps in balancing levels of blood sugar as well as maintaining healthy insulin levels in body. Helping in stopping craving of food, it is a perfect choice of people looking for weight loss. Available under brand name DIAB VEDA Capsules, the composition contains banana leaf extract in combination with amla, methi, jamun, gymnema sylvestre, Karela. Offered in packaging of 60 caps in plastic bottle, it is a 100% herbal constitution that offers optimum support for sugar control and diabetic issues.